We assemble to order DC switches complete with two solar cable slow burn fuses to match your requirements. The Switch can be 12 Amps, or 16, depending on your request.Fuses in our range are from 1A through to 20 Amp depending on your designWe must therefore ask you to select your design using the catalogue below. 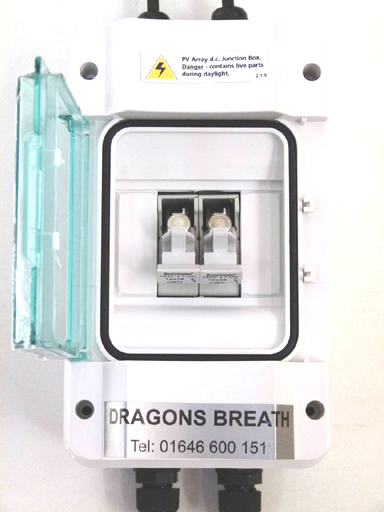 Designed to hold the PV fuses safely and securely in one place.